Think of acrylic nails as the icing on a cake, the finishing touch to your outfit, shoes, hair and make-up. If your nails look untidy they can potentially ruin your entire look, not to mention your self esteem! There are several ways to give your natural nails an artificial boost – either in length or strength, giving your hands an instant make-over! No matter what your nail dilemma (bitten, ridges, peeling, splitting, weak), we can transform your nails. Because we care about your safety as well as your nails, we PROUDLY use CND acrylic products which are Cruelty Free, Vegan, Non-Yellowing and MMA free. Full set painted with your choice of polish colour including Top Coat and dried under our Nail Dryer. Choose from 600+ Nail Polishes. Full set painted with your choice of Gel Polish colour. Choose from 270+ Gel Polish Shades. Full set painted with your choice of Gel Polish French white and pink colours. Full Set with a Permanent French White Smile line. Full Set with your choice of a Permanent French Glitter Smile line. Choose from 180+ Glitter acrylics. 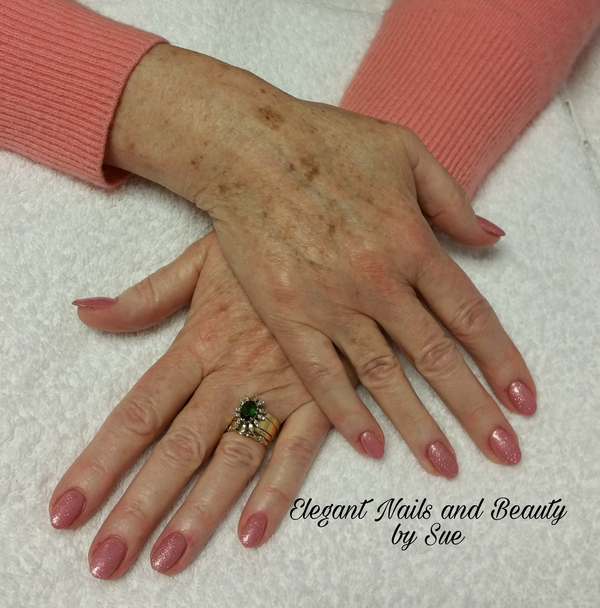 Finish your Permanent French with a coat of Pink Gel Polish. Additional amount will be charged for longer nail lengths ie Almond, Coffin, Ballerina or Lipstick etc. 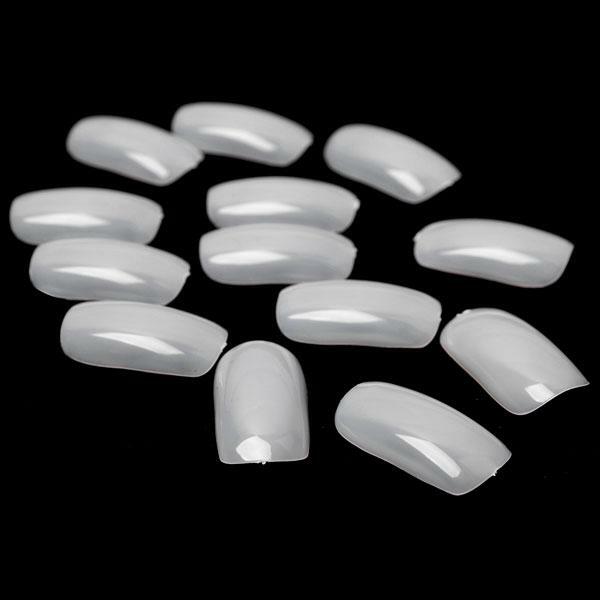 Overlays: A thin acrylic layer sculpted over your natural nails. Ideal for ladies who have naturally long nails but need help in the strength department. Acrylic Overlays painted with your choice of polish colour including Top Coat and dried under our Nail Dryer. Choose from 600+ Nail Polishes. Acrylic Overlays painted with your choice of Gel Polish colour. Choose from 270+ Gel Polish Shades. Acrylic Overlays painted with your choice of Gel Polish French white and pink colours. Acrylic Overlays with your choice of a Permanent French Colour Smile line. Choose from 50+ Coloured acrylics. Acrylic Overlays with your choice of a Permanent French Glitter Smile line. Choose from 180+ Glitter acrylics. Includes either Base Coat (if you are going to paint them yourself or Top Coat (if you just want them to look shiny). Includes application of Base, Colour coat of your choice and Top Coat plus additional drying time under our nail dryer. Choose from 600+ Nail Polishes. Includes application of Base, Gel Colour of your choice and Top Coat.​ Choose from 270+ Gel Polish Shades. Includes application of Base, French White & Pink Gel Colour of your choice and Top Coat. Refills with your choice of a Permanent French Glitter Smile line.​ Choose from 180+ Glitter acrylics. Finish off your French nails with a High Gloss UV non-yellowing Gel Top Coat. 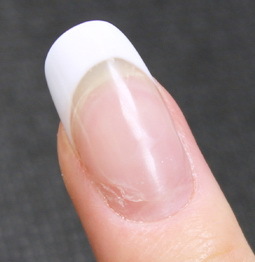 Temporary tips glued to your nails. If you have a job that doesn't allow you to have Acrylic Nails or Shellac, but you need nice nails for a special event...Party Tips are the answer! Painted with a polish colour of your choice and then dried under our Nail dryer. Painted with a french pink and white polish and then dried under our Nail dryer. 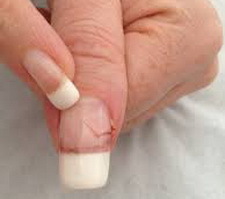 Nail Repairs: broken nails fixed in a jiffy! A broken nail will ruin the look on your manicure...don't wait until your next nail appointment. 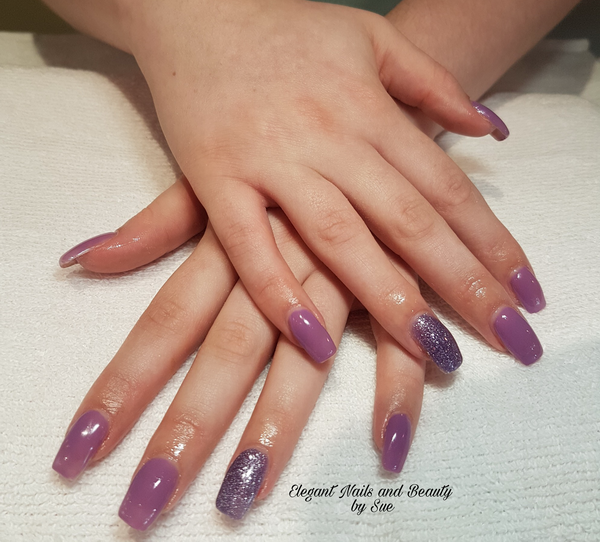 If you are looking to have your acrylic nails removed we ALWAYS remove acrylic using a gentle soak off process followed by a manicure and nail hardener. 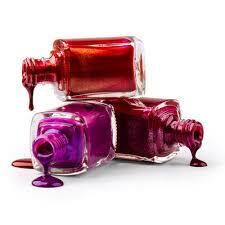 We will remove your acrylic via a gentle soak off process followed by a manicure and nail hardener. We will remove your acrylic via a gentle soak off process followed by a Shellac manicure. Beware of Nail Salons that use MMA! Our Nail Products and Polishes are MMA – (Methyl Methacrylate) FREE!! This top coat is a brush on polish sealant that • Creates a high gloss finish on painted nails • Is non yellowing • Is fast drying • Keeps nails looking "Salon New" all month Additional $5.00 with Refills. When booking your appointments please inform us that you will be requiring Nail Art with your Refills, Manicure or Pedicure and we will book the additional time required.